Two hilarious performers return to Circle of Friends. The Circle of Friends Coffeehouse is a non-profit organization affiliated with Franklin's First Universalist Society. Concerts are presented in a smoke free and alcohol free environment at the Society's handicapped accessible Meetinghouse, 262 Chestnut St. in Franklin, and begin at 8:00 PM; doors open at 7:30 PM. Beverages and gourmet desserts will be available. Tickets for this shows are $25. 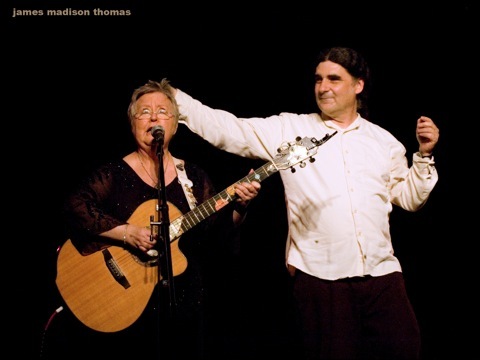 Please call (508)528-2541 or visit http://www.circlefolk.org/ to purchase tickets or for more information.